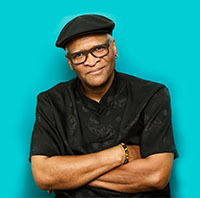 A saxophonist, composer, arranger and educator, Bobby Watson grew up in Kansas City, Kan. He trained formally at the University of Miami, a school with a distinguished and well-respected jazz program. After graduating and still not yet 25, he proceeded to earn his "doctorate" – on the bandstand – as musical director of Art Blakey's Jazz Messengers. The seminal hard-bop group, created in 1955 by late legendary drummer who died in 1990, showcased a rotating cast of players, many who, like Watson, would go on to have substantial careers as influential musicians and bandleaders in their own right. The Jazz Messengers – frequently referred to as the "University of Blakey" – served as the penultimate "post-graduate school" for talented, ambitious young players, which certainly describes Watson. After completing a four-year-plus Jazz Messengers tenure (1977-1981), encompassing hundreds of performances and appearing on 14 recordings, Watson became a much-sought after musician. Some, but certainly not all, the notable musicians – peers, elder statesmen and colleagues all – he worked with during this period include drummers Max Roach and Louis Hayes, fellow saxophonists George Coleman and a younger Branford Marsalis, celebrated multi-instrumentalist Sam Rivers and a then-young trumpeter Wynton Marsalis, who is a full 10 years the saxophonist's junior. In addition to working with a variety of instrumentalists, Watson served in a supporting role for a number of distinguished and stylistically varied vocalists, including: Joe Williams, Dianne Reeves, Lou Rawls, Betty Carter and Carmen Lundy. Later, in association with bassist Curtis Lundy and drummer Victor Lewis, Watson launched the first edition of what would become one of his key calling cards: Horizon, the acoustic quintet he modeled in many ways after the Jazz Messengers – but a unit that possessed a distinct slightly more modern twist. Throughout the years Horizon's personnel rotated somewhat, however it has always stayed top-shelf; the group's repertoire at any given time is overwhelmingly comprised of original compositions. Long-standing, talented members, now established include pianist Ed Simon, trumpeter TereIl Stafford and bassist Essiet Okon Essiet. By all critical accounts, Horizon, which today still performs together on special occasions, is now thought of as one of the preeminent small groups of the past three decades. The group issued several highly acclaimed titles for Blue Note Records and then for Columbia Records. Among the band's releases: Post-Motown Bop (Blue Note) and Midwest Shuffle, Live! (Columbia), the latter a live recording capturing the group in a number of locations during a 1993 tour. In addition to his work with Horizon, Watson also led a nine-piece group known as the High Court of Swing – a tribute to the music of Johnny Hodges – as well as the GRAMMY®-nominated, 16-piece large ensemble Tailor Made Big Band. The lyrical stylist is also a founding member of the well-respected 29th Street Saxophone Quartet, an all-horn, four-piece ensemble. Watson's classic 1986 release, Love Remains (Red) received a special citation in the Penguin Guide to Jazz (Penguin). Having received the publication's highest rating, the Love Remains was then identified in the ready reference book's seventh edition as a part what the editors considered its "core collection" [i.e. a "must-have"], thereby joining other entries issued by a number of jazz masters and icons. More recently, Watson issued a series of recordings on the Palmetto label. On the heels of his #1 releases, Live & Learn (2005) and Horizon Reassembled (2006), where he's reunited with Lewis, Stafford, Simon and Essiet, the saxophonist issued From the Heart (2008), where he unveils yet another original project, again sharing the limelight with bassist Lundy. The release also went to #1 on the national jazz airplay chart and remained there for nine weeks. For essentially four decades now Watson has consistently contributed intelligent, sensitive and well-thought out music to the modern-day jazz lexicon. All told, Watson, the now-seasoned veteran, has released more than 30 recordings as a leader and appeared on close to 150 other recordings, either performing as co-leader or in support of other like-minded musicians. Not simply a performer, the saxophonist has recorded more than 100 original compositions including the music for the soundtrack of A Bronx Tale, which marked Robert DeNiro's 1993 directorial debut. Numerous Watson compositions have become classics such as his "Time Will Tell," "In Case You Missed It" and "Wheel within a Wheel," with all three titles becoming oft-recorded and interpreted by his fellow musicians. It's ever-more apparent with each passing year that in addition to his compositional and performance prowess, Watson is equally respected as an educator. More importantly, Watson now inspires and passes on his great knowledge to those a generation or more younger than himself; like his former boss Blakey, Watson does both on and off the bandstand. His teaching within known jazz programs and institutions dates to the mid-1980s when Watson served as a member of the adjunct faculty and taught private saxophone at William Paterson University (1985-1986) and Manhattan School of Music (1996-1999). In 2000, Watson hit his stride in the educational field. The saxophonist, after using New York as home base for 25 years, came full-circle and returned to Kansas City. Offered an endowed chair as the first William D. and Mary Grant/Missouri Distinguished Professorship in Jazz Studies and assigned to serve as Director of Jazz Studies at the University of Missouri-Kansas City's Conservatory of Music & Dance., Watson took the appointment to heart. He set out a plan that, over time, would increase UMKC's Jazz Studies Program's visibility. Nearly 15 years later he's still at it, however it's now fair to say that Watson's program is now considered among the top-tier college/university jazz programs in the country. As a result, he's able to attract much the city's measurable home-grown talent as well as draw interest from many other gifted aspiring younger musicians located throughout Missouri, the Midwest region and the nation. Watson capped off the millennium's first decade conceptualizing and then delivering one of his most ambitious and personalized projects to date – one where he combines all of his talents: composing, arranging, producing, teaching and performing. In fall 2010, the saxophonist released his self-produced, seven-part, all-originally composed The Gates BBQ Suite. The recording went to #4 on national jazz radio Airplay. The selfless Watson designed this complex work – which draws upon his childhood remembrances and experiences centered on his family's involvement in the business and his home-town's semi-official food – to primarily showcase his students. Arranged as a big-band endeavor, with Watson only playing sporadically, The Gates BBQ Suite houses an abundance of ensemble playing and solos from those who study with him. "The Gates BBQ Suite, performed by Mr. Watson and the University of Missouri at Kansas City Concert Jazz Orchestra, is quite likely the most K.C.-specific work of his career thus far," wrote Will Friedwald in the Wall Street Journal. "It is, in every way, a worthy companion to the most famous long-form work celebrating jazz in that city, the 1960 ‘Kansas City Suite,' written by Benny Carter for Count Basie (neither of whom were K.C. natives, although Basie was easily the single greatest ambassador for K.C. jazz). In 1992," continued Friedwald, "when Mr. Watson produced his first big band album, Tailor Made, Columbia Records trumpeted that the sessions were completely unrehearsed – as if that were somehow a positive thing; here it's abundantly clear that Mr. Watson and his students have ample rehearsal time to get everything right..."
Just releasing the recording was not enough for the enthusiastic Watson. Using guile and his boundless creative energy, he was able to create an opportunity for him and his students to travel to Japan for a 10-day tour that showcased Gates and other compositions. To say they were well-received would be a serious understatement; not surprisingly, the group was extremely well-received. Watson remains tremendously busy during 2014. The saxophonist has now made each of Gates' seven charts available to band directors around the world, arranged in such a way that they could be played in long-form as the entire suite or performed as stand-alone compositions. This year he also released his latest self-produced project, the well-received Check Cashing Day. Wrote Downbeat's Frank Alkyer, "On Check Cashing Day, saxophonist Bobby Watson is at his best, tackling the issue of inequality in the most positive, powerful and uplifting way possible." The thematic recording, commemorating the 50th Anniversary of Martin Luther King's "I Have A Dream" speech, is yet another heart-felt undertaking, this time successfully melding instrumentals, vocals and spoken word. Of late, Watson has received a number of well-deserved awards recognizing his musical contributions during what is now a four-decade career. In 2011 the saxophonist was inducted into the Kansas Music Hall of fame. In 2013 he received the prestigious Benny Golson Jazz Masters Award from Howard University in Washington, D.C. Simultaneously Rep. John Conyers honored Bobby by officially recognizing his work in the Congressional Record. The most recent recognition is perhaps the sweetest to date. On August 23, 2014, coincidentally his 61st birthday, Watson was selected to be among the first inductees into the newly created 18th and Vine Jazz "Walk of Fame." He joins Pat Metheny as the only other living selection along with a quartet of the city's jazz icons: Count Basie, Jay McShann, Charlie Parker and Mary Lou Williams. As in-demand as ever, the lyrical saxophonist continues to balance teaching responsibilities with engagements at major venues throughout the world including appearances at clubs, festivals, on campuses and at Performing Arts Centers.